Rice-Fish Symposium 6 August 2018 with Dr. Aung Thu, Minister of Agriculture Livestock and Irrigation (MoALI); Dr. Myo Aung, Chairman of the Naypyitaw Council; Dr. Ann Fleming, Research Program Manager Fisheries, ACIAR and Mr. Nicholas Coppel, Australian Ambassador to Myanmar. The value of inland fisheries has led to some important initiatives by the National Water Resources Committee (NWRC). Inland capture fisheries provide an important contribution to Myanmar's GDP together with agriculture. Inland fisheries play a key role in ensuring food security in several Asian and Southeast Asian developing countries. Exploring interesting topics related to Myanmar's water sector, aquaculture is becoming increasingly important in developing the socio-economic status of the country. Although Myanmar has vast potential for the development of the aquaculture sector, capture fisheries (inland and marine) need to be better managed in order to protect livelihoods and ensure a stable supply of fish in the future. "In Myanmar the inland capture fisheries are very important but you can imagine that new roads, irrigation channels, new industrial and housing development and other infrastructure are all interrupting the connectivity between floodplains and rivers. And in order for fisheries to survive, it is important to maintain the connectivity not only during the rainy season but also the dry season," Michael Akester from WorldFish explained how inland capture fisheries are endangered. "The value of inland fisheries has led to some important initiatives by the National Water Resources Committee (NWRC). The NWRC is working on environmental flows (e-flows) to ensure sufficient water in the river systems to allow human well-being while protecting the biodiversity on which we also depend in particular fish", he said, explaining why good environmental flows and connectivity are needed. In August 2018, a symposium and technical workshop – "The Science and Policy of Environmental Flows" was held in Yangon. The main purpose of the symposium was to create a common understanding of the current status of science and policy of environment flows in Myanmar. In the same month, an International Rice-Fish Symposium was also held in Yangon to promote integrated agriculture. Inland fisheries contributed approximately 30 percent of the total fisheries output in Myanmar. Since the majority of people live along the four big rivers – Ayeyarwady, Sittaung, Chindwin and Salween Rivers, and in the delta region, freshwater fish from the inland capture fisheries is a mainstay not only in the daily diet but also in employment. For instance, the Hilsa fish, a marine fish that enters freshwater to breed, is very popular as a food fish in the Bay of Bengal area. Currently the Hilsa fish is widespread, but there have been serious declines in some major populations due to overfishing by commercial fisheries. Therefore, a project funded by the Darwin Initiative of the UK, co-managed by The International Institute for Environment and Development (iied) of London and WorldFish with the University of Yangon and Networks Activity Group (NAG) as local partners, named "Carrots and sticks: incentives to conserve hilsa fish" will help provide incentives to conserve Hilsa fish in Myanmar. The project will operate the ecosystem-based approach (EbA) in its information gathering, analysis, and decision-making and management objectives. 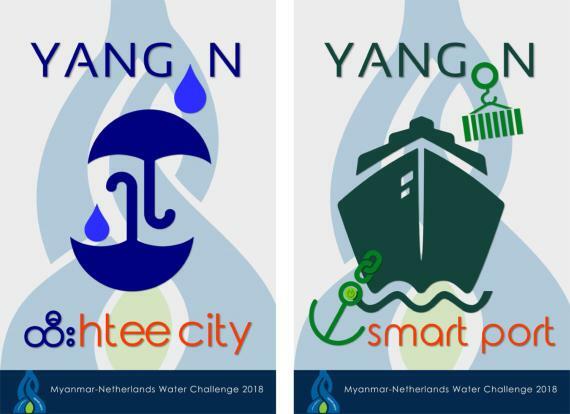 These practices will take place in Maubin, Hinthada and Ngaputawn / Luppata Townships in the Ayeyarwady Delta region. Rice-fish systems (RFS) include a combination of farming and aquaculture/fishing practices, from traditional capture of fish in rice-dominated landscapes through to controlled farming of fish in rice fields. Recent policy shifts are now encouraging farmers to vary farming systems in agriculture, livestock and fisheries, giving a window of opportunity for developing and implementing productive integrated agriculture rice-fish systems. 3.Improved rural development with reduced out-migration of youths from rural areas. 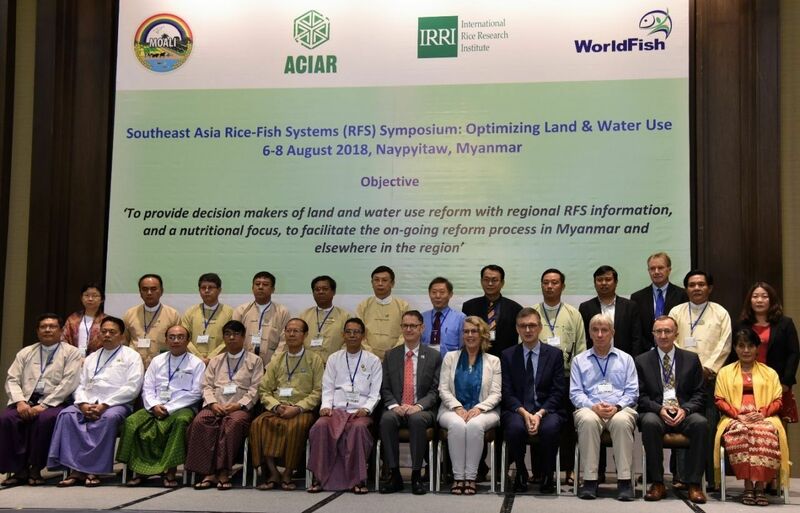 An Australian Centre for International Agricultural Research (ACIAR) funded project entitled 'Development of Rice Fish Systems (RFS) in the Ayeyarwady Delta', is being implemented by WorldFish-IRRI and MoALI. Myanmar Integrated rice-fish systems are currently introduced at a research level in the Ayeyarwady Delta region, Hinthada, Tharyarwady and Maubin. These districts can provide together more than 2.1 million ha of monsoon rice and 100,000 ha of dry season. Therefore, there is potential to reach more than 10,000 households in the dry season with improved integrated agriculture and rice-fish systems. Integrated pest management (IPM) is a pest control concept that uses the best available mix of technologies for a particular pest problem and reduces the need to use chemical pesticides thereby protecting the environment. (Ref: FAO) In addition, fish also help to reduce rice pests as the fish stocked in the field will eat harmful insects. Fishermen with catch on an inland floodplain fishery near Maubin, Ayeyarwady Region, Myanmar. It can be clearly concluded that inland fisheries and integrated agriculture practices along with fish farming all play an important role in the socio-economic improvement of a developing country along with established agriculture practices and efficient water use. In order to improve aquaculture in Myanmar successfully the awareness of the concerned farmers should be enhanced within an enabling land use environment led by local administrations in coordination with the State and Union Governments. Within this context, local NGOs, Community Based Organizations (CBO) and self-help groups may come forward with the help of proper aid and encouragement to help manage inland fisheries better and establish rice-fish systems with the aim of producing more nutritious fish and improved diets.